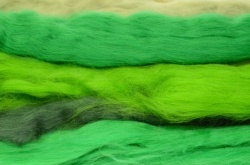 Mixed dyed fibres from our own machinery. 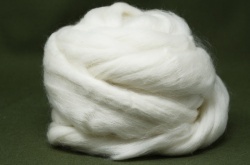 When making blends or combing tops on machinery the wools can sometimes get stuck, fall off, or "lap" themselves around the drums. These then have to be cleared and are put into a big bag, so making Laps. 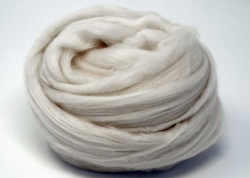 The wool itself is clean and suitable for using just like any other of our fibres, they're just the odds and ends that we don't have any other use for. 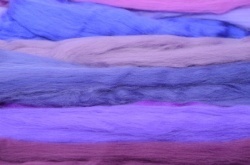 We do card some of them into mixes on our big carder. 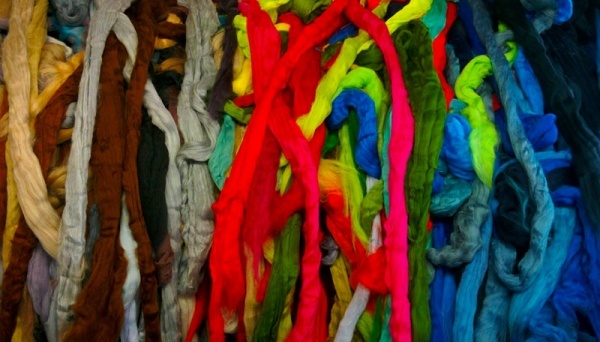 The bulk will be dyed fibres, single colours and rainbows, though there may be animal fibres like alpaca or mohair, it's purely the luck of the draw but we do try to ensure that there's a good mix. Specific colour shades cannot be requested. Please go to our standard stock range for these. We do not include any synthetics. Images are for display only. Photo is the open pile of laps. Laps are often described as wastes, though the term doesn't really transfer well: When blending hundreds of kilos of fibres at a time, then the 2 foot of wool tops that didn't go through the machinery are, to us, waste. It's these bits that are put together to make up the laps, so to a home spinner or felter it's just like getting a mixed bag of wools. 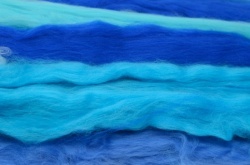 It is clean and safe to use just like any of our other fibre.